Lively discussion with (from left to right) Jürgen Trittin, Gabi Weber, Hermann Gröhe, Lise Grande and moderator Anke Plättner. KfW's evening event on 15 January entitled “Fragile States Thinking Ahead - Learning from Stabilisation Measures for the Future” brought 230 high-ranking policymakers, academics, civil society actors and practitioners together for dialogue with participants of the previous conference on "Stabilization in Fragile Contexts: Challenges, Lessons and Opportunities". 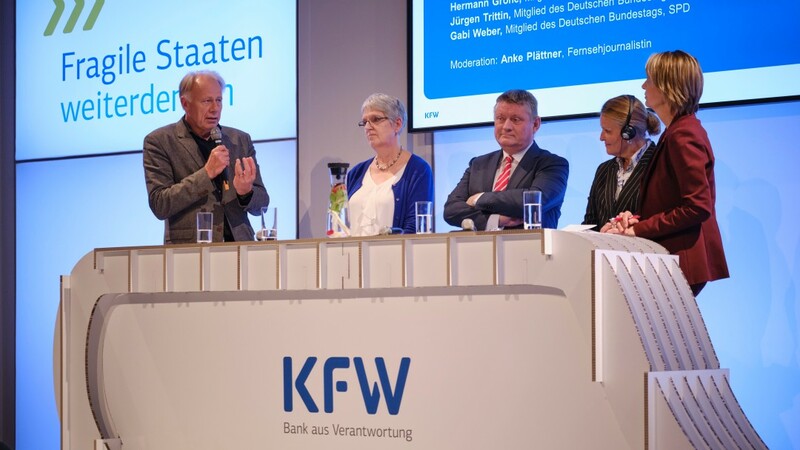 In his opening speech, Prof. Joachim Nagel assured the audience that KfW would continue to be involved in fragile contexts, “because people in these countries need to feel that something is changing for the better”. Confidence in the governments of our partner countries can, however, only be restored after conflicts if local success stories are made visible. To achieve this aim, KfW will work closely with the German Federal Government, partner countries and civil society actors like the Aga Khan Development Network and UN organisations. 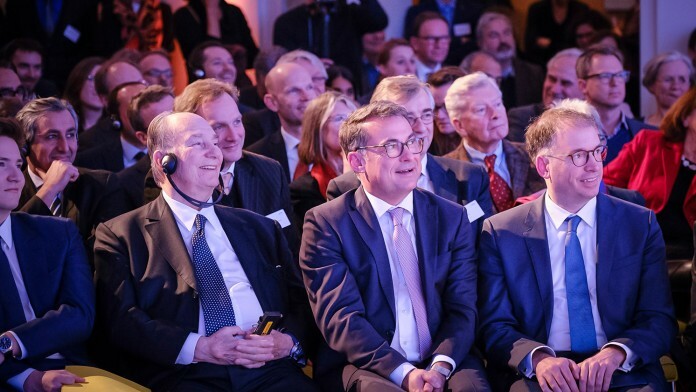 From left to right: His Highness the Aga Khan, Dr Joachim Nagel and Niels Annen. Niels Annen, Minister of State at the German Federal Foreign Office, praised the outstanding cooperation with KfW and the Aga Khan Development Network (AKDN) in Northern Afghanistan. It is important, particularly in spite of the difficult situation in Afghanistan, to highlight the success of the infrastructure projects implemented since 2010 for a total of EUR 105 million under the “Stabilization Programme for North Afghanistan” (SPNA). “Stabilisation will continue to be a central pillar of Germany's foreign policy commitment – and Germany will also work towards this goal over the next two years as a non-permanent member of the UN Security Council”. 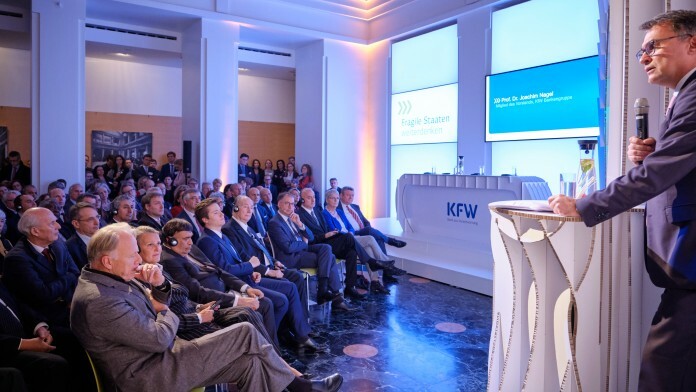 The guest of honour of the evening, His Highness the Aga Khan, thanked KfW and the German Federal Foreign Office for their commitment to date and emphasised: “Even if the conditions are unfavourable, the local population must always be the focus of attention”. AKDN therefore supports local participation and social pluralism and works to strengthen civil society organisations in Pakistan, Afghanistan, Syria and Mali. For many there remained only standing room - 230 guests had come.